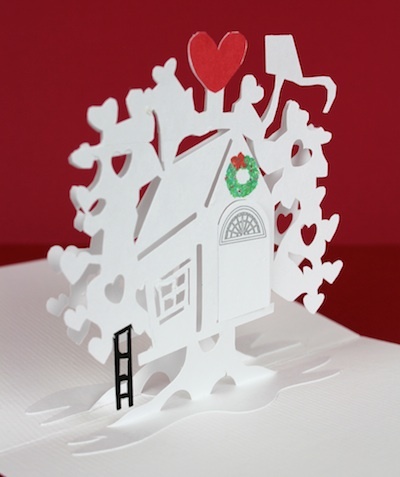 I have handmade pop-up cards in the past and shared some of my Christmas Cards here. Others are much more accomplished paper engineers than I. Daughter Karen gave me a card from Petrina Case of PopUp Studio in Palmyra, NY. Pop-up and tree house. What a great combination for me! You can see more of Petrina Case's work at her Etsy shop here or her website here.